Connecting this site into the 606 was suggested by a couple other people in comments on other ideas, so I'm adding it since it's a great idea on its own. 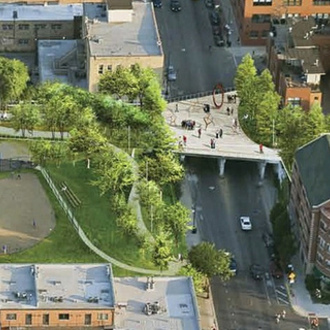 The Bloomingdale Trail could be extended east over the Chicago River to connect with a new riverwalk/park providing walking and biking connections to local streets. The river interrupts the street grid, resulting in few safe and convenient routes for people to bike between neighborhoods on each side of the river -- this would significantly improve the connection between the North Side and Near-Northwest Side. 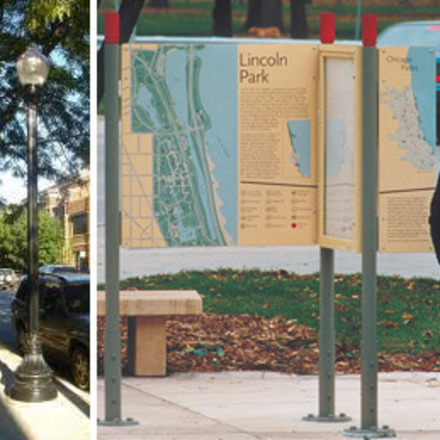 Southport should extend south of Cortland as a bike/pedestrian connection to the riverwalk and the 606, and protected bike lanes should be added on Cortland to connect people to the trail from Clybourn, Racine and Armitage. 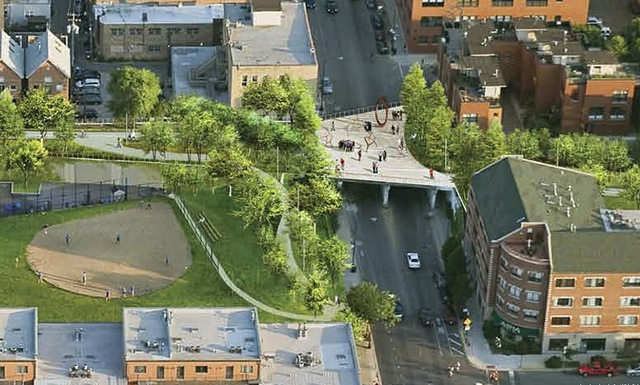 It would also be great if at some point, the river walk be extended to the north, or a river trail be added that could connect to The 606. Great suggestion! Cycling has become more dangerous with the pass through route near the Finkl Steel Mill under construction. Even with this pass through, cyclist had to contend with periodic flat tires. However it was a safer option to pass over the river rather than the dangerous intersection of Damen/Elston/Fullerton or Ashland. I have had this thought for a while now. It is great to see that other's have seriously considered this possibility and that it has the public's support. I hope to see this extension or some version of it come to fruition in the near future. I love this idea, and think that turning the Z6 swing bridge into (a) a practical bridge to cross the river / extend the trail and (b) a Point of Interest (I'm envisioning a pub on the other side of the river called the Swing Bridge Tavern...) would enhance the Bloomingdale Trail no end. I think it would be fairly trivial to install a bike-friendly surface or dedicated path along N Kingsbury St, and also to divert alongside the train tracks to join up with the Z2 Cherry Ave Bridge to Goose Island. I think a big issue right now is how to cross under/over the I-94 and Ashland Ave (outside of using Cortland Ave). How do we make this happen?!! 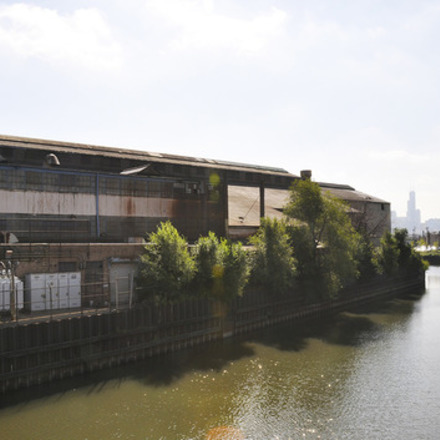 This could be a major step in making the Chicago river an asset to both the buck town and Lincoln park neighborhoods. 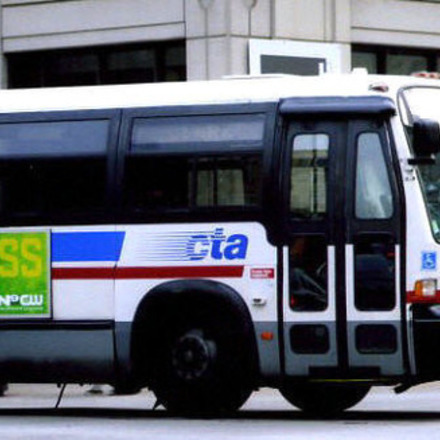 I live outside of the affected neighborhoods but support any project that effectively improves the safety and feasibility of alternative transportation options in the city. Connectivity is vital to making that happen and connecting the 606 with other bike corridors would maximize the project's value tremendously. The 606 is wonderful, but a small start in overhauling our city's transportation to include cyclists and encourage healthy, sustainable transportation. As Rob said, the highway/ashland/train tracks crossing is the tough part here. 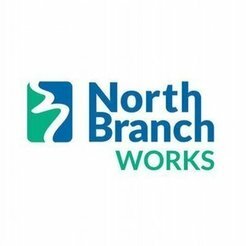 It would be great if cyclists going from the Near Northwest into Lincoln Park or all the way to the lake could get there safely without having to drop onto busy streets.